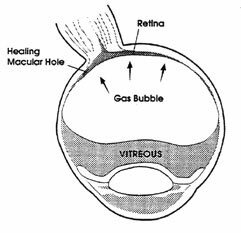 The gas bubble rises to the top of eye and does not cover the macular hole. 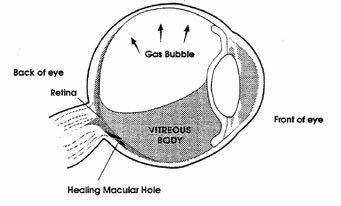 Since the macula is at the back of the eye, the gas bubble will only work if the patient's head is positioned facedown. 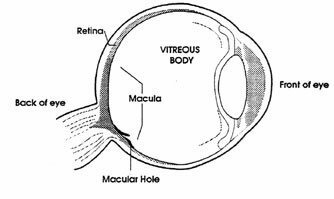 Disclaimer: The information on this page is provided to help educate patients and originates primarily from National Institute of Health (NIH) materials. It is not meant to be, nor should be considered a substitute for your physician's advice.